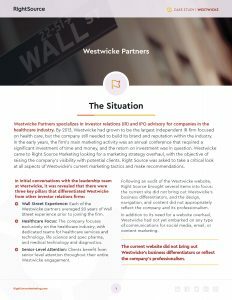 The strategic marketing plan Right Source created for Westwicke Partners, the largest investor relations firm in the country focused on health care, included a complete website redesign and the addition of marketing automation. Find out how it worked. Discover more about our engagement with Westwicke Partners.